In 1894 the Manchester Ship Canal was opened, allowing ocean-going vessels to reach docks close to the centre of Manchester. There were four smaller docks at Pomona Docks, a mile from Manchester city centre, with larger docks built half a mile west at Salford. 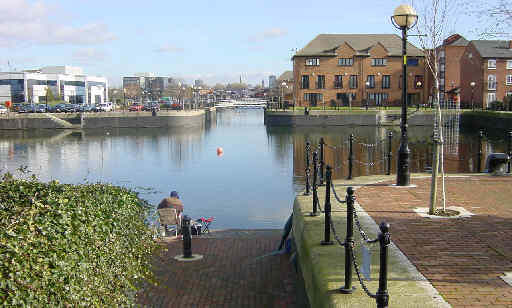 The largest dock, No 9, opened in 1905, was constructed on the site of Manchester Racecourse. 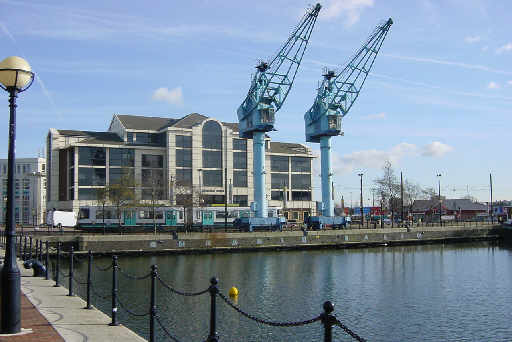 The development of container ports and motorway links outweighed the convenience of ships being able to reach Manchester and in the 1980s most of the docks were closed. 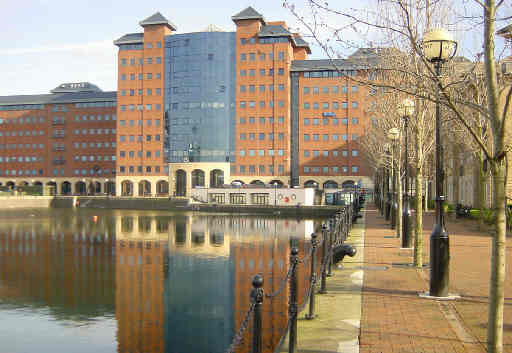 The Salford docks have now been redeveloped as Salford Quays. Dock cranes at the head of Ontario Basin. The Metrolink tram brings passengers right into the Salford Quays area. 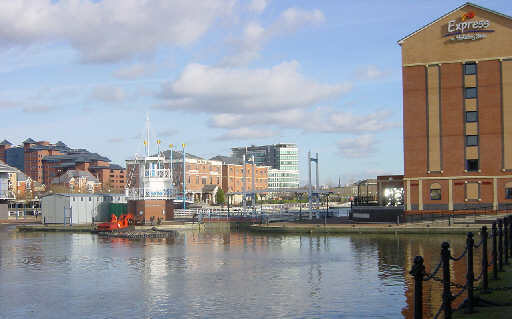 Merchants' Quay and Welland Lock. 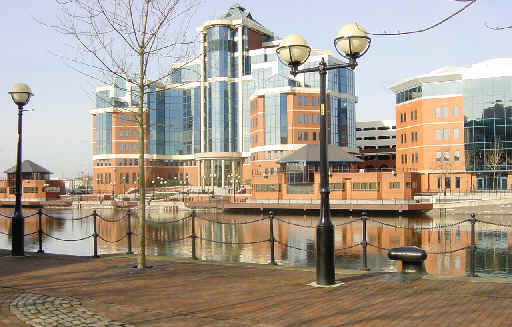 Click here to go to Salford Quays Part 2.